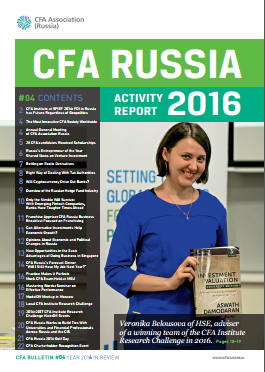 CFA Association Russia is a non-profit organization representing the interests of CFA Charterholders and CFA candidates based in Russia and the CIS. The society was founded in 2004 and is a member society of the CFA Institute. It is committed to leading the development of the investment industry through the promotion of the highest ethical standards and through the provision of education, professional development, advocacy, information and career support on behalf of its members. 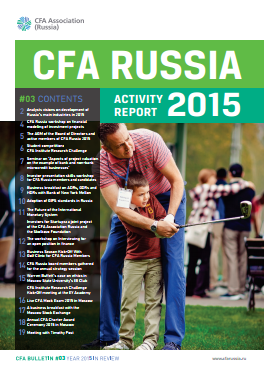 Formation and history of CFA Association (Russia). 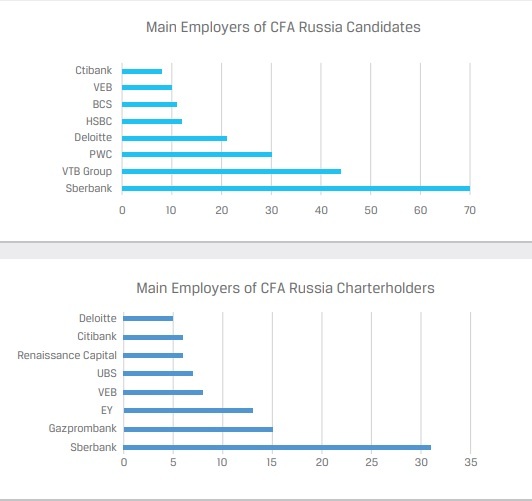 To promote the highest ethical standards in Russia’s investment industry, and encourage professional development by providing education, career, and professional networking support to CFA Charterholders and Candidates based in Russia.